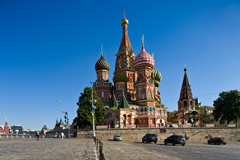 The Russian pension system has undergone major structural changes in the past years, developing from a single, publicly managed distributive system into a multi-pillar pension system. Since 1999, several laws have been adopted that have re-shaped the current system, which was implemented in its current form in 2002. The implemented changes induced a shift from a solely pay-as-you-go-financed defined benefit system to a mixed system that consists of both pay-as-you-go and funded elements combined with defined contribution elements. The pension fund market in Russia is at an early stage of development with total assets accounting for around 1.5% of GDP in 2006. The state pension covers all public and private sector employees, as well as civil servants. Employers have to pay a uniform social security tax that amounts to 26% of payroll. This rate is split between the different parts of the system. The marginal contribution rate decreases with higher incomes resulting in a decrease in average contribution rates. The rate scale is regressive with a contribution assessment limit of RUB 600,000 (EUR 16,600). This part of the state pension is pay-as-you-go financed with a strong redistributive element towards low-income earners as it provides a flat-rate benefit. Six percent of the uniform social security tax is split into the basic pension. The basic pension is indexed to inflation. When the insurance part was introduced, it was the first time that a defined contribution element had been implemented in the Russian pension system. Contributions are recorded in notional accounts, which means that the insurance part is financed on a pay-as-you-go basis, but benefits are earnings-related and based on the virtual contribution record. Contribution rates differ depending on the age of the employee. Those born in 1966 and earlier contribute 14% from the uniform social security tax to the insurance part. Those who are younger contribute only 7% because another 7% is paid into the mandatory second pillar. Employees born in 1966 and earlier are excluded from the mandatory second pillar. Their contributions are concentrated in the insurance part, which is indexed to inflation and reflects the developments of average wages. The legal retirement age in Russia is 60 years for men and 55 for women, although early retirement is a serious problem for the pension system with broad exemptions existing for several industries and professions. The previous government had discussed an increase in the retirement age by five years. However, no new proposal is expected from the new government in the short term. Increasing the retirement age would be electorially unpopular, especially considering that male life expectancy is approximately 59 years of age. Contributions are fully tax-deductible as company expenses. Benefits of the first pillar are paid in the form of life-long payments and remain untaxed. In the course of the 2002 pension reform a mandatory second pillar, the so-called funded part, was implemented in Russia, which complements the basic and the insurance part as the third element of the mandatory pension system. For employees who are born in 1967 and later up to 7% of the uniform social security tax is redirected to the funded part. For those born in 1966 and earlier no funded pension is build up. Every employee has the right to choose if contributions will be allocated to a non-state pension fund (NPF) or the Pension Fund of the Russian Federation (PFR). Non-state pension funds have been allowed to take part in the mandatory system as separate legal entities since 2004. Previously they could only participate in the voluntary system. The PFR plays a central role in collecting pension money and investing accumulated capital before distributing contributions to the personal account of the employee. Employees who choose the PFR have to select an asset manager with an investment option, otherwise the default option applies, which means transferring the money to the state-owned asset manager Vnesheconombank. Asset management companies wanting to participate in the mandatory system require an appropriate licence to provide services for and manage assets from both the PFR and the NPFs. The PFR selection process of investment managers is organised via tender, while NPFs may choose among asset management companies that comply with legal requirements set for investment for the PFR. Foreign-owned asset management companies need a special license to participate in this market. In Russia every employee has an insurance certificate with an identification code that solves many of the identification problems normally associated with decentralised second pillar pensions. In this case, the contributions are directly linked to the employee, irrespective of the contributor. As payments from the second pillar have not yet started, matters concerning the design of payouts are still under discussion. Generally, no lump sum payments or phased withdrawals will be authorised for the PFR. Annuities should apply with a nominal rate of return assumed to be zero. Accordingly, NPFs are not allowed to provide lump sum benefits, but phased withdrawals are permitted. Unfortunately, funds often do not clearly define the payment modalities available. Contributions are fully tax-deductible as company expenses. Pension benefits remain untaxed. Besides the mandatory pension system, voluntary occupational pensions are available to public and private corporations and individuals. Providers of voluntary occupational pensions are non-state pension funds and insurance companies. The schemes offered can be in the form of defined benefit or defined contribution, although DC schemes are prevalent. The regulation of NPFs activities is rather loose – in some areas it is up to the NPF itself to set requirements for contract conclusion. For example, no minimum funding requirements are specified by law – the NPF is able to demand additional contributions from the sponsoring entity or to decrease the level of payment to the pensioner. In the case of voluntary occupational pensions, the employer directly contracts with an NPF. Contributions could be made in bulk from the employer to an employer account or by the participant into a personal account. The law does not regulate the portability of pension rights. Vesting and portability depends on the agreement between the NPF and the employer. As with the mandatory system, no lump sum benefits are allowed. Instead, fixed-period or lifelong annuities are proposed. In general, employer contributions up to 12% of the payroll remain untaxed provided that the benefit is paid in the form of an annuity. Investment returns in excess of the Central Bank refinancing rate are subject to taxation. Pension benefits will be subject to personal income tax. Russia has not been spared from the trend of an aging population. As with most industrialised countries, the working-age population of Russia is set to decrease considerably over the next decades. Decreasing fertility and a longer life expectancy (at least amongst some sectors of the population) are contributing factors. The public pension system will also suffer from the retiring baby boomer cohort, which will lead to a considerable pension deficit in the decades ahead. This will not be cushioned by the oil revenues that are currently suffering from historical low levels.